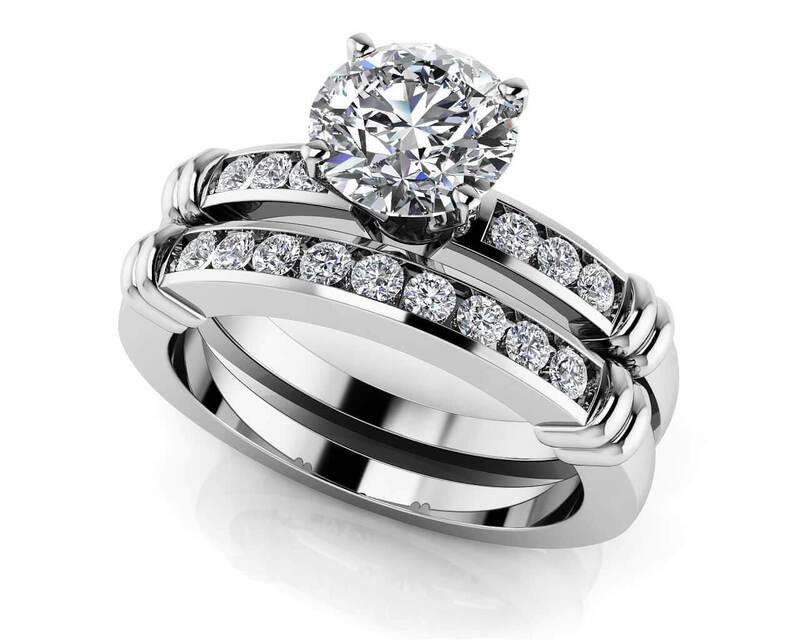 Three lovely diamonds sit on either side of the center stone on this design marvel! 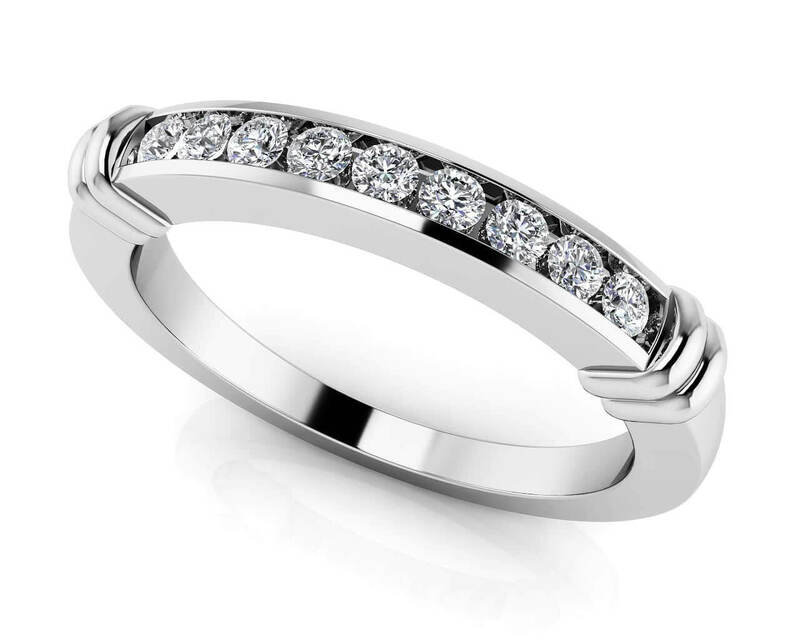 They are flanked by a lovely detail, crafted in gold or platinum on the band. The rest of the band is smooth, with a squared edge, for good looks and incredible comfort. 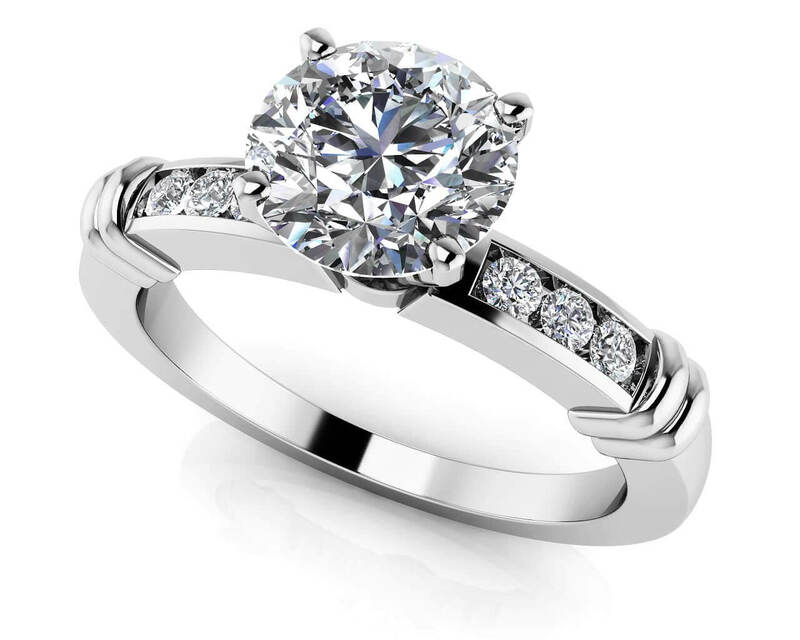 The center stone is a round, prong-set diamond, set in a classic four-prong setting. It’s available in 4 different sizes, ranging from half a carat to 1.5 carats total diamond weight. Simply lovely! Stone Carat Weight: 6X.020 ct.